Since I talked about 2 reasons to not start a blog last week, this week I wanted to talk about 2 reasons to start a blog. Of course, I may go over those 2 reasons but we’ll see what happens. Blogging has been a true learning experience and an adventure with many ups and downs. Since the beginning of January, I’ve been attempting to re-establish the identity for this blog after getting swept up in the lure of a holiday gift guide. 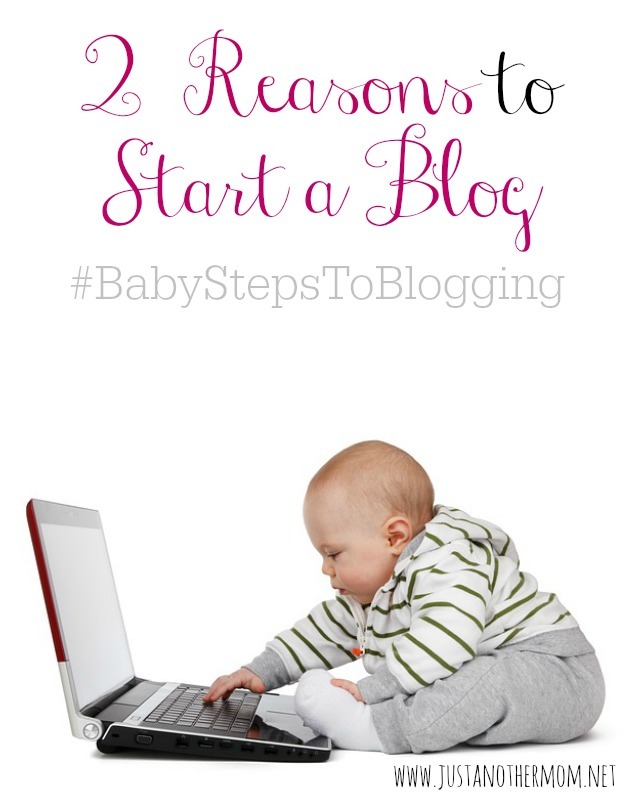 Along the way, I’m sharing some of my own tips, tricks, and advice in Baby Steps to Blogging. Each Monday, I’ll continue to cover a new topic or talk about something else related to blogging. Just as there are numerous reasons to not start a blog, there are plenty of reasons to start a blog. But I’m just going to touch on my top reasons for purposes of this post. Reason #1 – My number 1 reason to start a blog is because of the never ending learning experience. There will always be something to learn about blogging, whether it’s social media related or SEO related.. things are constantly changing. And you’ll need to stay on top of these changes or at least be aware of them. There’s no limit to the amount of blogs about blogging, books, courses, podcasts, or YouTube videos available to bring you advice and guidance. Just by going to Google and searching for a topic like SEO brings over 300 million results. Reason #2 – My number 2 reason to start a blog is for the community. Not only the community that you can create around your own blog but the community of bloggers that you can become a part of. How active you decide to become in the global blogging community is really up to you. From forums, to Facebook Groups, to networking through e-mail or Skype; making meaningful connections with other bloggers has been a great benefit of blogging. I learn from fellow bloggers and on occasion, I can offer some advice. What are some others reasons to start a blog? Well, I suppose that also depends on the person. For me, it’s been about sharing our story with how autism has touched our lives and it’s also giving me a way to chronicle our homeschooling journey from the very beginning. I’ve also been able to share our experience with going green and living a healthier lifestyle. This blog, in many ways, has become an outward reflection of myself and the life I lead. And being a blogger has also given me a way to meet people that I probably wouldn’t meet otherwise. And for that, I am incredibly grateful. Those are my main reasons for starting a blog, what about you? I think you wrote down two best reasons for starting a blog! i totally agree with you on number two!!! My hubby works amillion hours a week so most days the only person I have any contact with is my toddler. My blog at least gives me a chance to read and talk about adult things… It’s an escape from toddler land and I can “talk” to other adults! Love this! The blogging community is my absolute favorite out of any community I have ever been in. I’ve met so many amazing people, including you! It’s really awesome. I started a blog for fun, then it turned into just a little side hobby, but now not only does it bring in an amazing income it’s become part of my life. It’s a passion I am so glad to have kept up for over 15 years now, I absolutely love it! Having a good interest in a subject is one reason to start. I always say I started blogging because no one was listening at home. Had I know what an amazing community I was joining when I became a blogger I would have become one much sooner. I have made great friends all over , and yes many of them I have met face to face. It is not for everyone but it is a great experience for those who were meant to write. Three years ago it started as a hobby but now has turned into a business. I love working from home and having freedom. I do like the community that comes along with blogging. The friendships often times turn real, and the events that allow you to meet in person? Even better! Great reasons to start a blog. My primary reason in 2005 was losing my job, I really wanted to learn how to make an income with my blog and youtube channel. I am ready to amp it up.